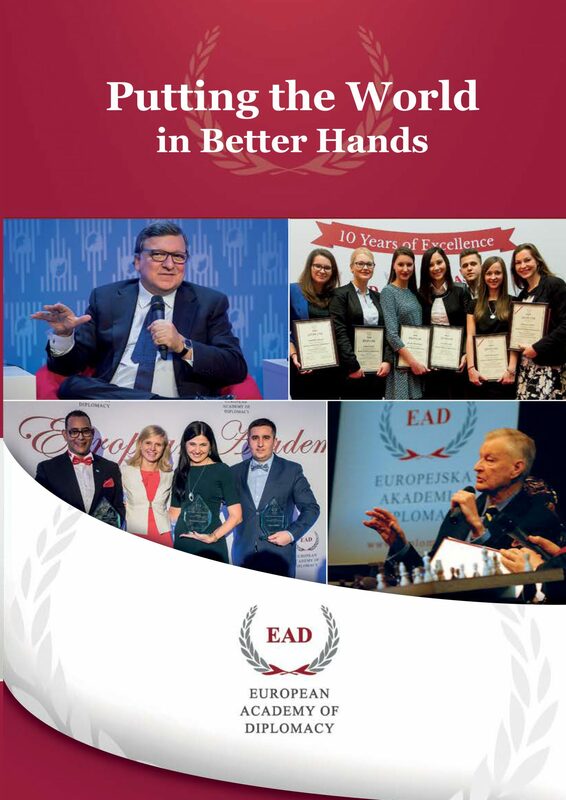 Since its inception in 2004, the European Academy of Diplomacy has awarded over 500 scholarships to exceptional young people who aspire to be the leaders of tomorrow. Young professionals, academics, activists, journalists, students, and recent graduates from over 50 countries have had a chance to come to Warsaw, Poland and gain new skills, make international friendships and share their experiences with their peers. Thanks to your contributions, the EAD will be able to make its programs more accessible to young leaders that are eager to develop the skills necessary to engage in their communities. All of our scholarships are merit based and addressed to young leaders who are proactive in seeking opportunities to gain experience in an international environment. Our scholarship recipients dynamically contribute to the surrounding society and operate locally in the NGO sector, local and regional government and media. They stand out with their courage to take on difficult challenges. They possess the desire of continuous self-improvement, as they are aware of both their strengths and weaknesses. The scholarship recipients show passion for development within the institutions and academic centers in which they operate. EAD strives to ensure that at least half of the scholarship winners are female, providing them with the knowledge and tools necessary to make an impact in their own communities. The costs of our scholarships vary between 300 and 750 Euros depending on the program. 100% of your funding goes directly towards scholarships and no overhead costs. With your contributions, we will support the development of civil society in the Visegrad, Eastern Partnership, Western Balkans countries and Russia. We emphasize local efforts to create opportunities for grassroots activists. All donors will receive a Certificate of Appreciation and can be recognized on the EAD Benefactors List unless they wish to remain anonymous.